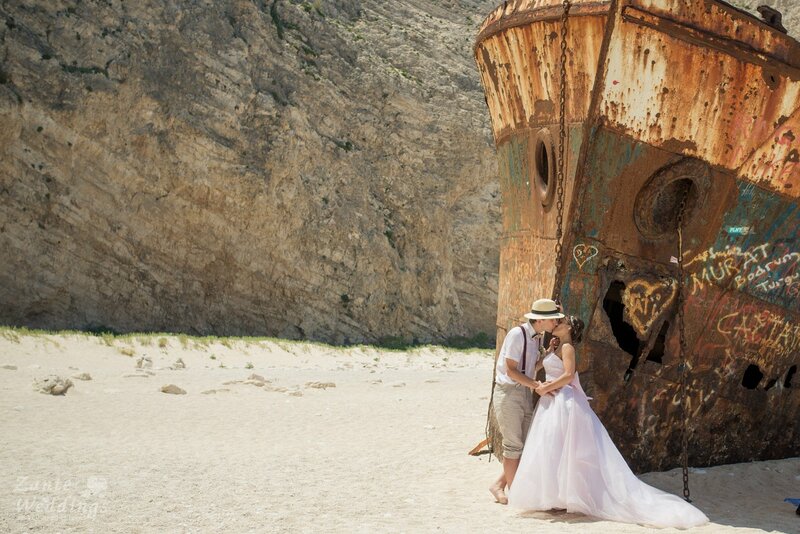 This is an extreme but wow wedding destination. 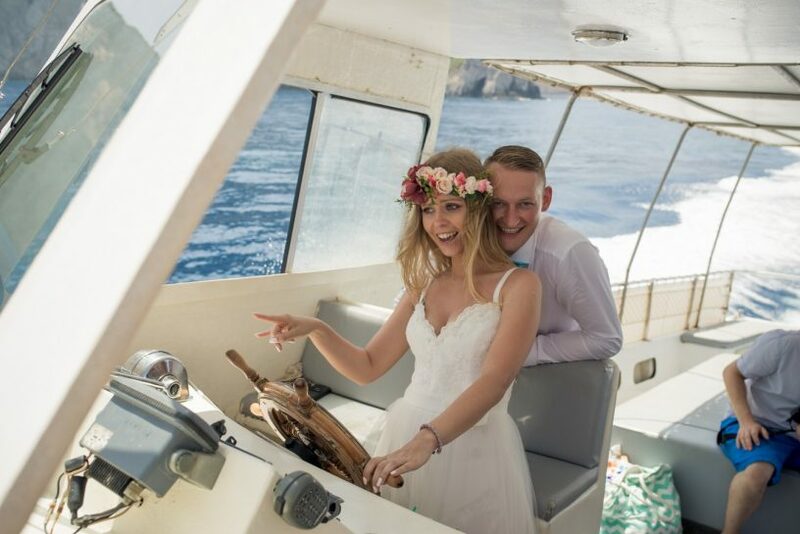 This caters for open –minded relaxed personalities that want something completely different for their wedding. 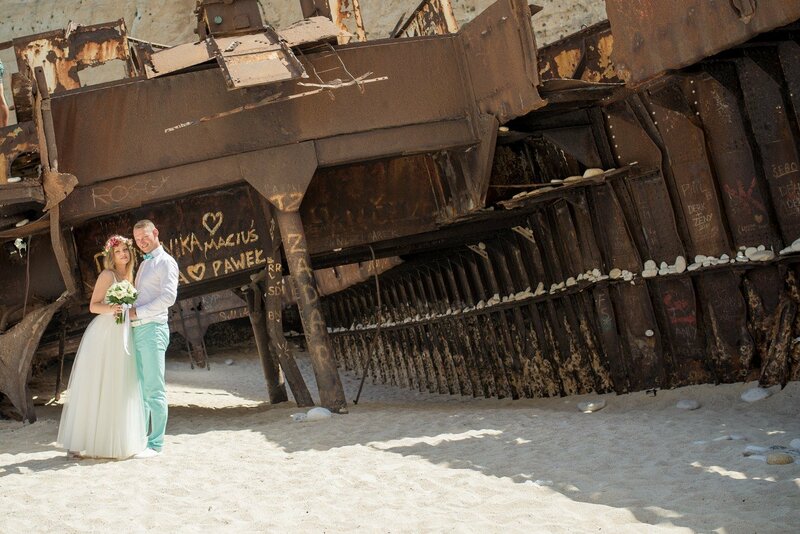 It is a day trip by boat to the most visited place in the world…..The Shipwreck. 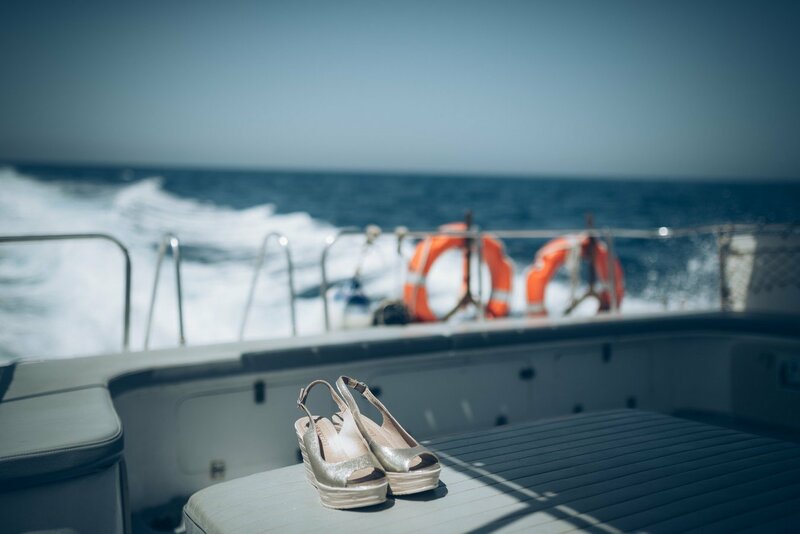 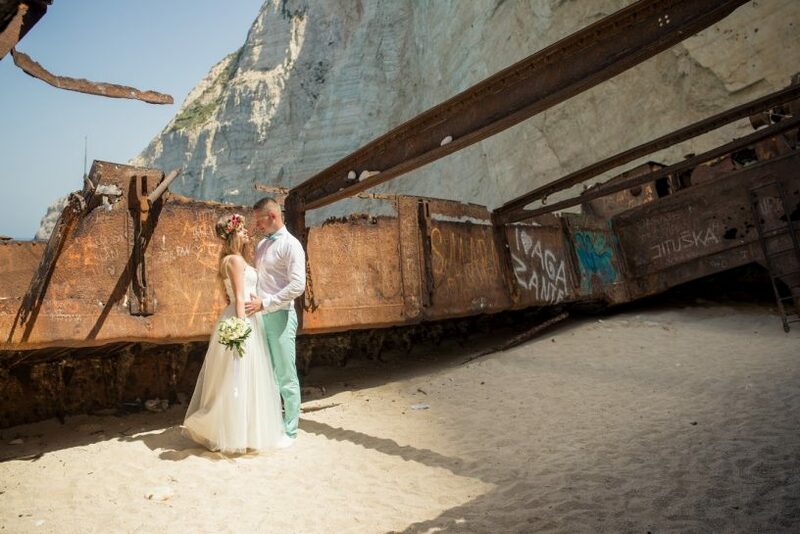 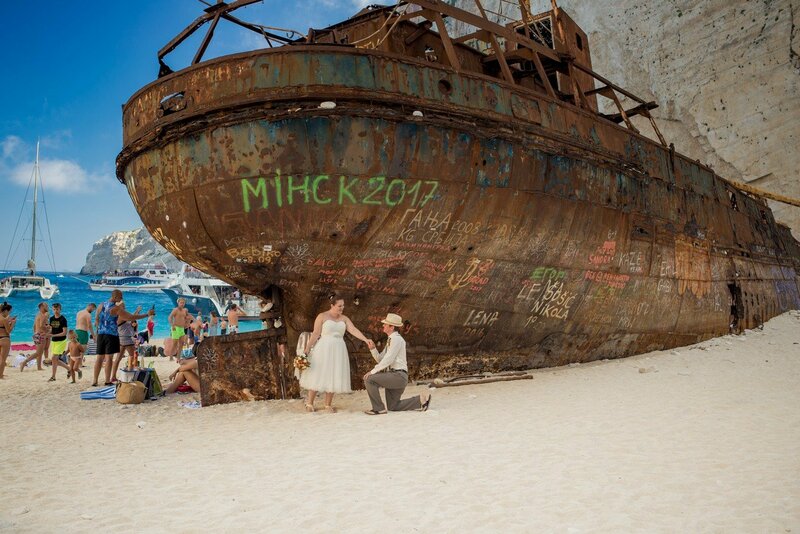 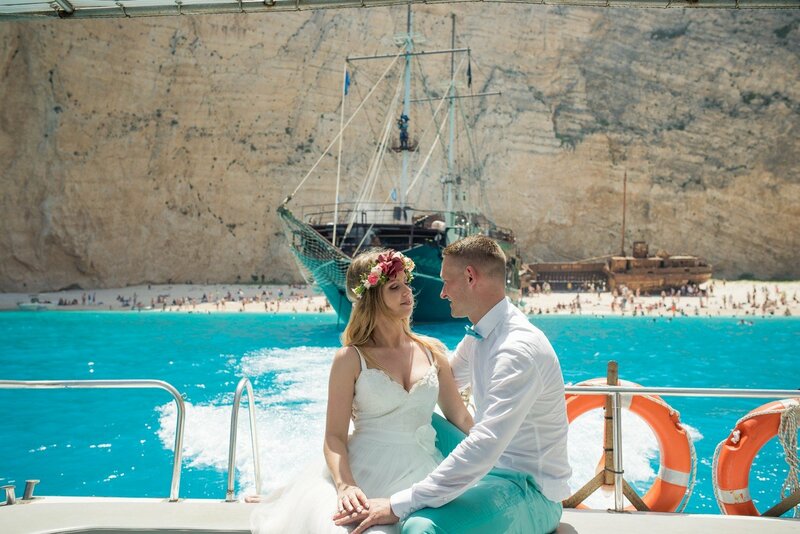 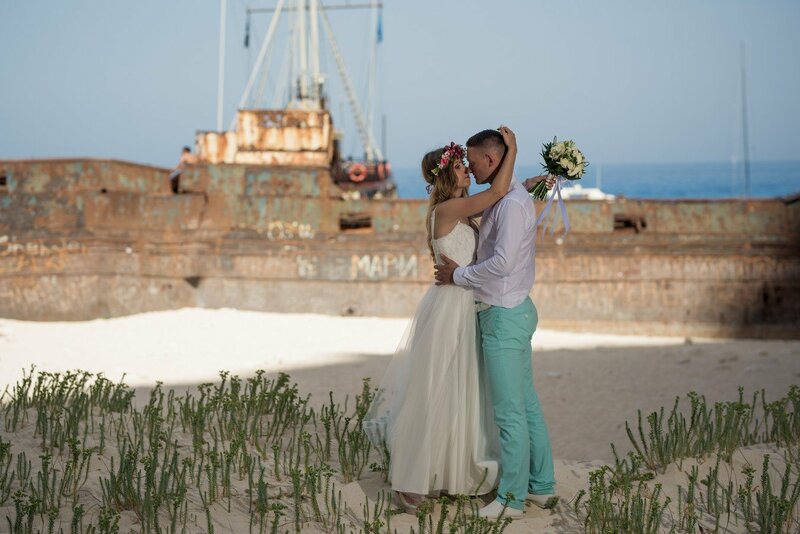 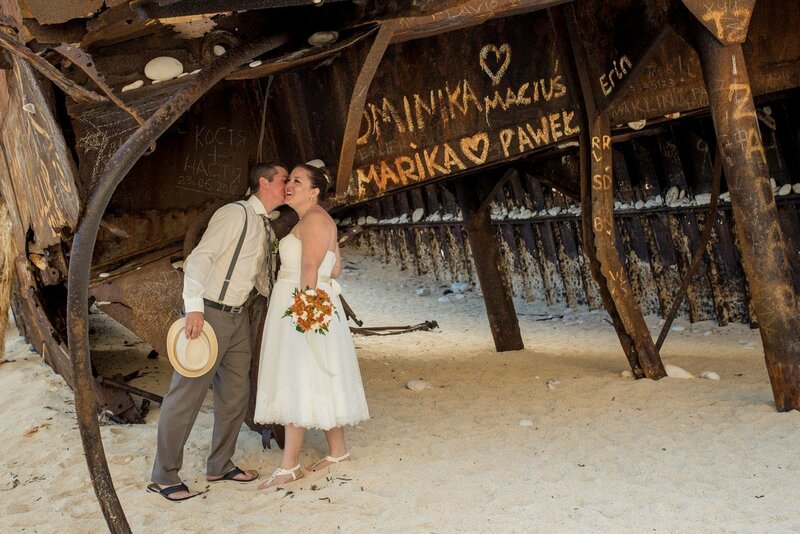 Enjoy your wedding on the secluded nearby beach for your intimate ceremony then sail off to the Shipwreck for your grand adventure. 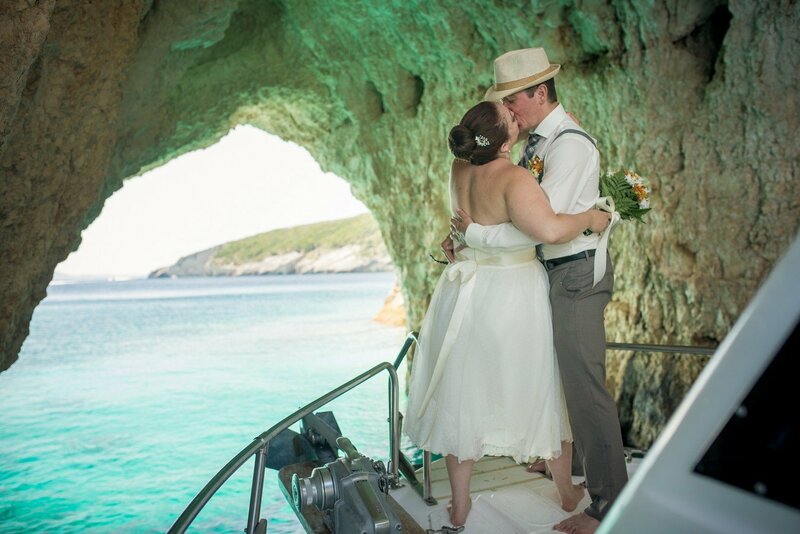 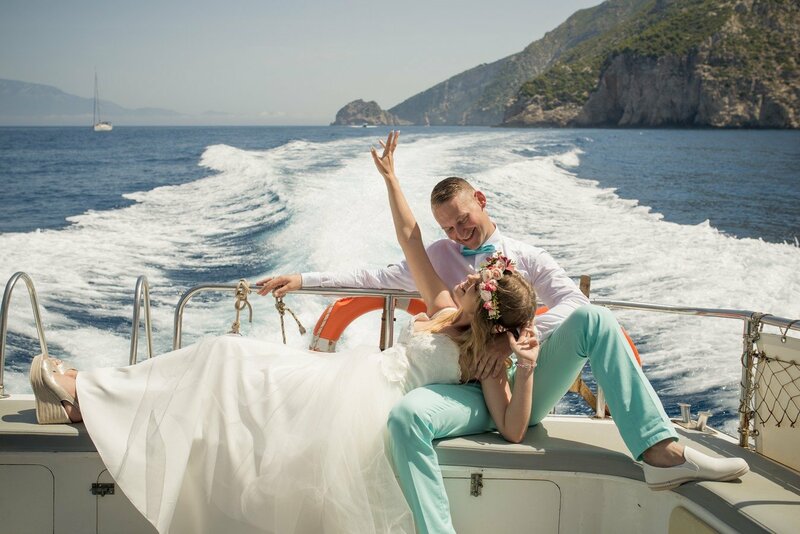 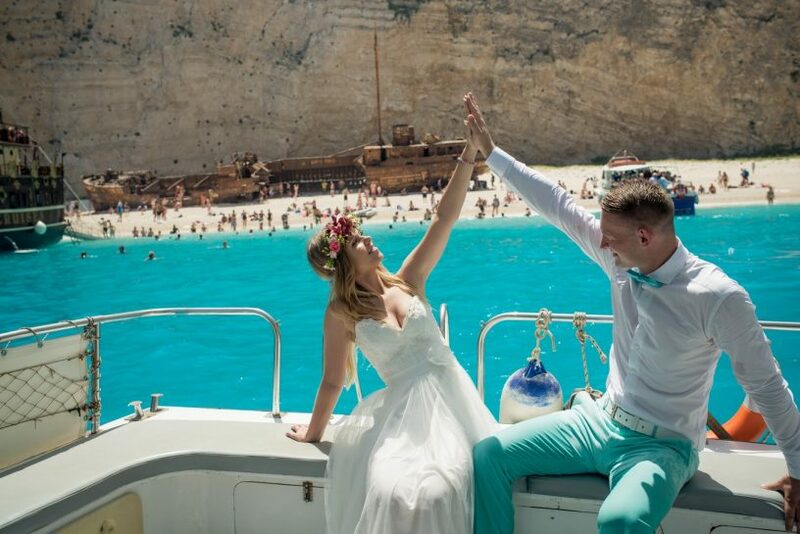 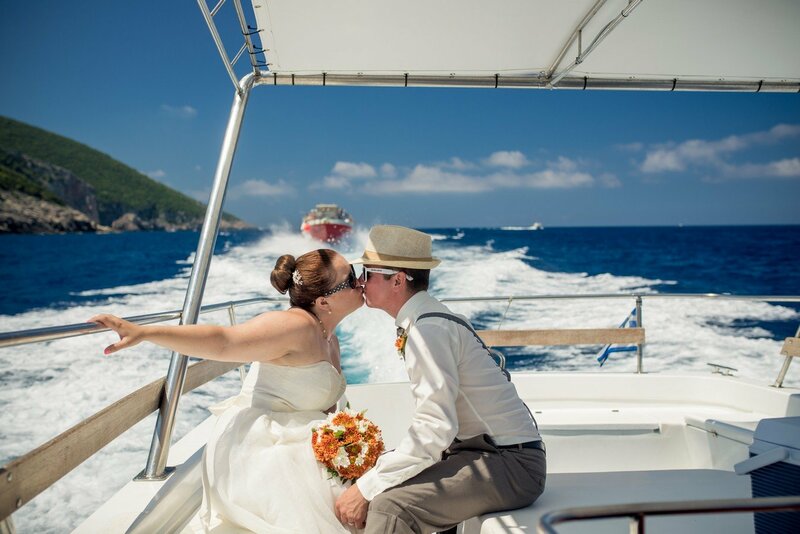 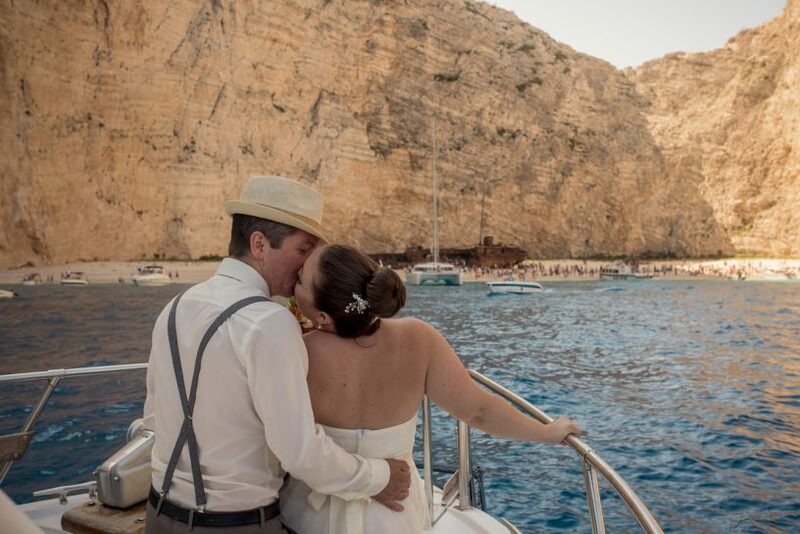 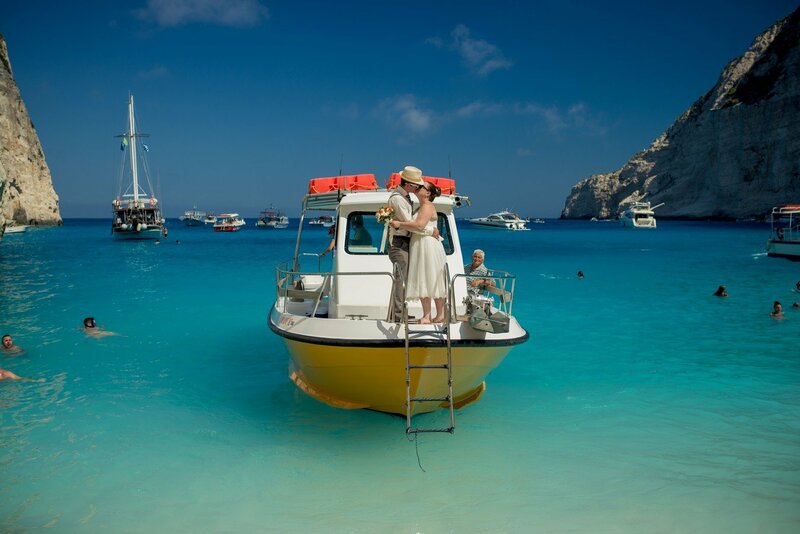 Allow our photographers and planners to help create your dream wedding by the lapping blue waters of the Ionian. 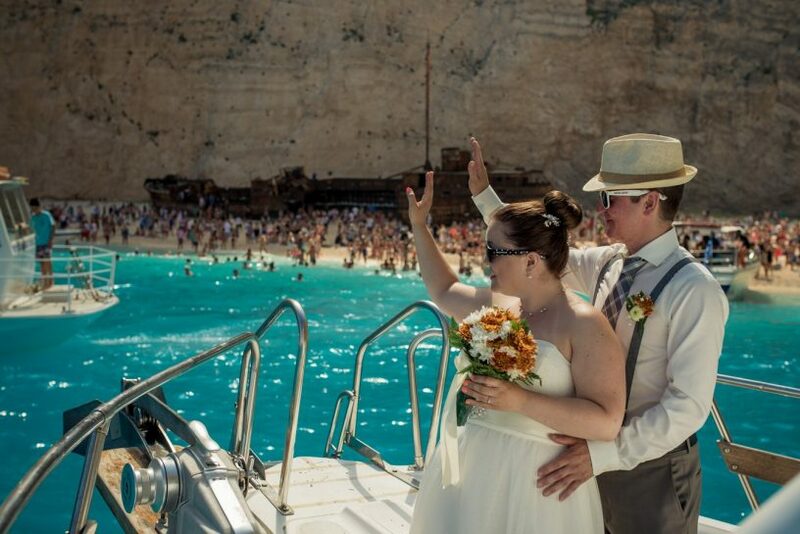 Your wedding will be a movie production to share with all your family and friends.